Call me a glutton for punishment, but every year for the last–oh, I don’t know–four years, my husband and I have hosted a Hanukkah party for our closest neighbourhood friends. You see, we are the token Hebrews in the ‘hood, so most of our friends have never been to a Hanukkah party, let alone tasted a latke. So, we felt it would be a Mitzvah (aka: good deed) on our part if we threw a little shindig to enlighten our friends. Well that little shindig turned into a big shindig and has become something of a tradition. It has also given me licence to go a bit meshugenah (crazy) with the event planning, decor and yes, a dessert table! 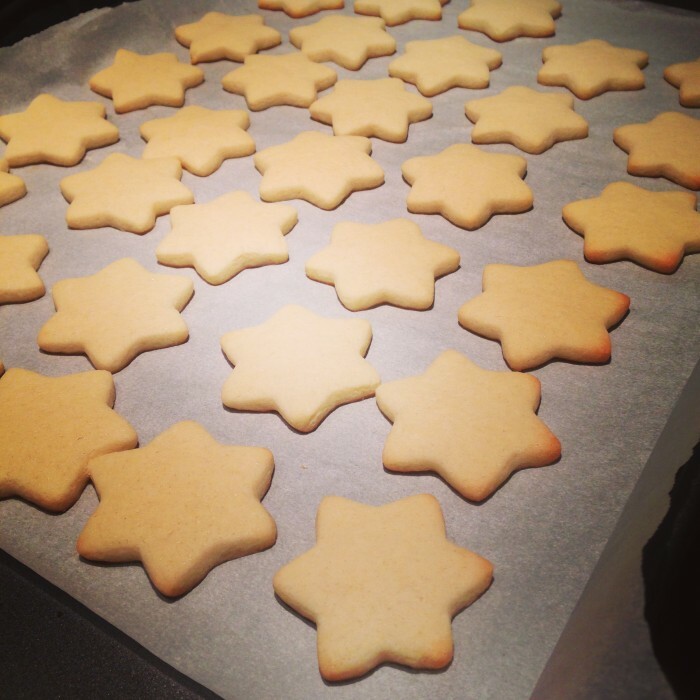 I made the dough, chilled it, rolled it out, cut it into the shapes of dreidels, menorahs and stars of David before baking. Then I went to town on the icing. 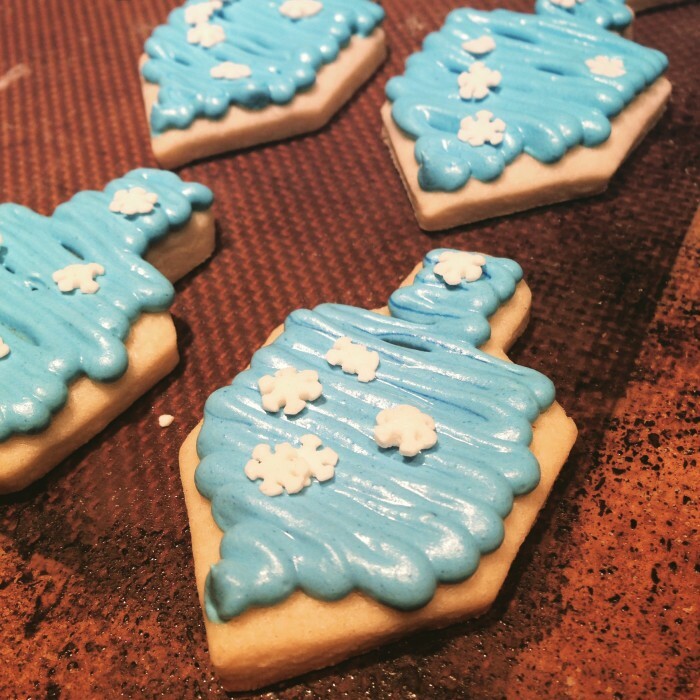 The icing was a piping consistency and I could have piped all the cookies and then flooded them, but I got lazy. So the icing is a little thicker (the kids will love me for it–not the parents) than usual and maybe not as pretty. But I’ll let you be the judge! 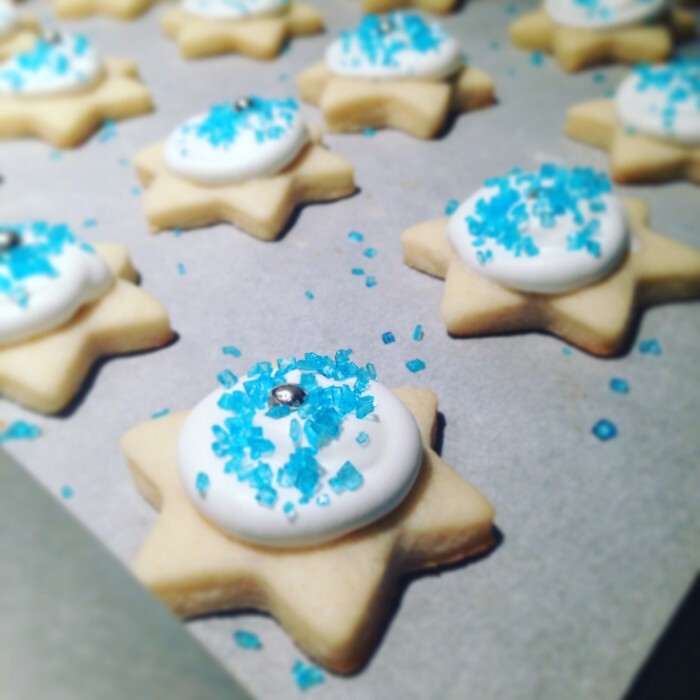 Star of David sugar cookies with royal icing, blue confectioner’s sugar and a silver dragee.